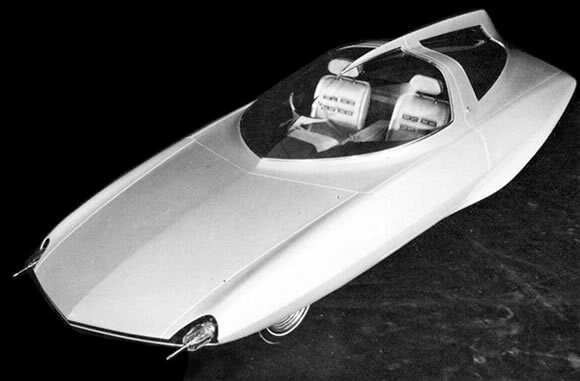 Toyota were definitely channeling the Jetsons when they designed this concept car in 1966. Maybe this is where flying car designers should look for inspiration now. The cockpit and fin are beautiful and those points in the headlights could be ray guns. I searched and couldn't find much if any information about this car so if anyone can enlighten us please do. Some colour shots are here.